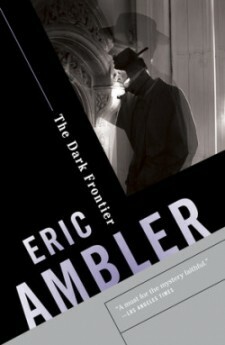 The Dark Frontier launched Eric Ambler’s five-decade career as one of the most influential thriller writers of our time. England, 1935. 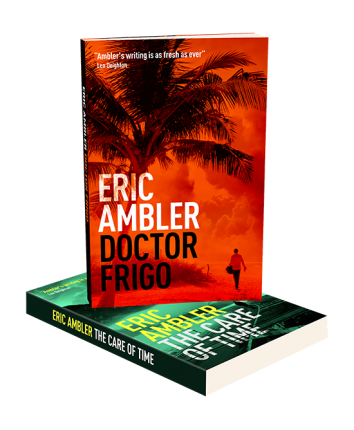 Physicist Henry Barstow is on holiday when he meets the mysterious Simon Groom, a representative for an armaments manufacturer. Groom invites the professor to Ixania, a small nation-state in Eastern Europe whose growing weapons program threatens to destabilize the region. Only after suffering a blow to the head—which muddles his brain into believing he is Conway Carruthers, international spy—does the mild-mannered physicist agree to visit Ixania. But he quickly recognizes that Groom has a more sinister agenda, and Carruthers is the only man who can stop him.